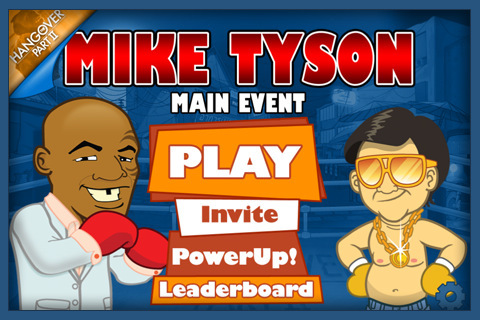 Mike Tyson: Main Event is a free iPhone game that is highly reminiscent of Mike Tyson’s Punch Out. That classic phenomenon has clearly inspired the perspective as well as the cartoonish approach to opponents and environments, and for a while, that is sweetly nostalgic. Main Event, however, is not the first game or even the first iPhone app to emulate this concept, and like those others, it fails because by current standards it is essentially a Flash game. For the retro gamer who appreciates such things, the Mike Tyson: Main Event iPhone game has a lot to offer. It is remarkable how well RockLive has been able to emulate the controls as well as the camera shakes, zooms and a host of other techniques that will be instantly familiar to so many. Of course, the controls are digital and on screen and they do take some getting used to, but once you have the feel for them, it is uncanny how much it feels like Punch Out. The audio was an aspect that we expected to wow us. After all, the developers, RockLive Entertainment, had hired David Frederick, an award-winning composer to create the music and even the sound effects. And as you would likely expect, the sound quality is much higher than you would normally find in a free iPhone app. The problem, however, is that there is not nearly enough of it, and so it all becomes rather repetitive far too quickly. Graphics wise, Mike Tyson: Main Event is a lot of fun for a while, especially for fans of Mike Tyson’s Punch Out. The game boasts a wide range of opponents and backgrounds, for which the classic inspiration is often obvious. However, the graphics do not seem updated nearly enough for a game released in 2011. There is certainly a niche out there for a Punch Out game that takes advantage of modern technology, but the Main Event is not it. The one way that Mike Tyson: Main Event is highly successful is in its approach to broadening the rogues’ gallery. Rather than create countless zany personalities, RockLive actually infuses it with caricatures of celebrities, such as a vicious John Lennon that is quite unlike the peace-loving poet we adore. 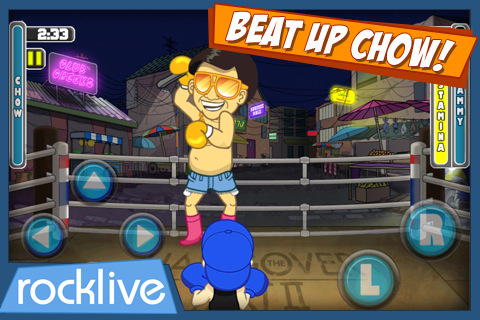 RockLive has also promised updates with new opponents, and the latest update includes a fantastic addition: Mr. Chow of The Hangover fame. In the end, Mike Tyson: Main Event is worth 3 out of 5 stars. We cannot complain about value; it is a free game. And it is certainly worth a few minutes of your time to download, install and investigate, especially if you are a fan of Punch Out or into retro games in general. The game is free, though you’re enticed to help yourself to the in-app purchases if you want faster advancement to the final round against Mike Tyson himself. But the excitement and newness will wear quickly, and when it does, what remains is a game that feels dated and uninspired, and it leaves you wanting something a little more ambitious. AppSafari review of Mike Tyson: Main Event was written by Darius Reimm on June 11th, 2011 and categorized under Action, App Store, Beat-em Up, Free, Games. Page viewed 7140 times, 1 so far today. Need help on using these apps? Please read the Help Page.